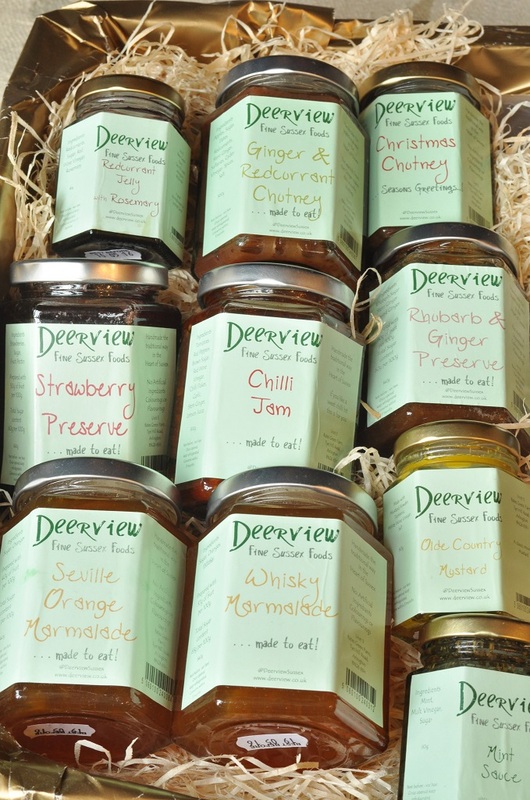 When I first received my prize hamper from Rosemary and Pork Belly, I noticed, of course, that it included a bountiful array of jams, jellies, chutneys, etc. 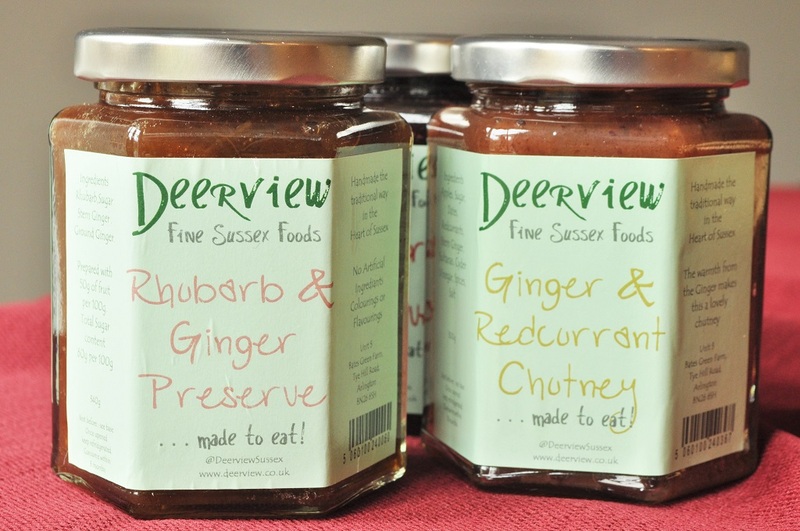 from Deerview Fine Sussex Foods. But I didn’t actually count the jars up until today, when I discovered that there were ten of them. And this is the tenth post of the “Twelve Gifts of Christmas” review series! A complete accident. But it’s rather nice that it worked out that way, isn’t it? 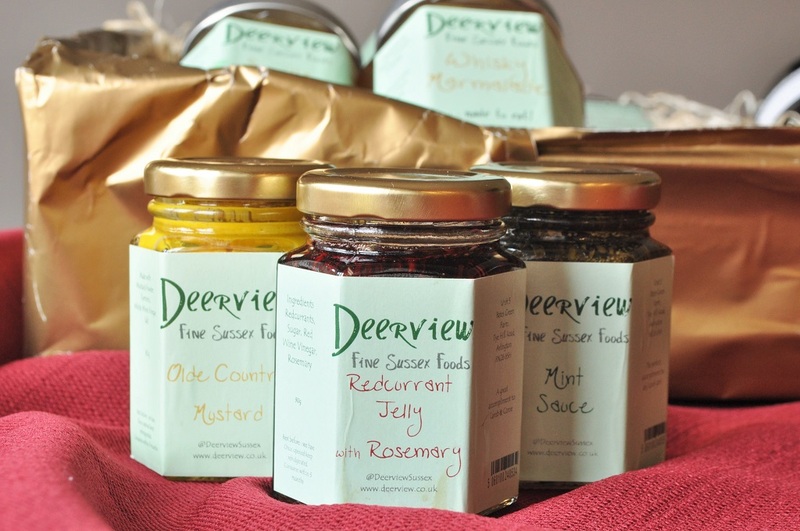 There were three small jars containing mint sauce, redcurrant-rosemary jelly, and mustard, which will be lovely accompaniments to my steaks and roasts for the next few months. Then there was yet another chilli jam, and a “Christmas” chutney made with apples and onions (a combination that sounds odd, yet tastes heavenly). A second chutney of apples, dates, sultanas, ginger, and redcurrants looked deceptively sweet and breakfast-like–until I tasted it. Obviously, I didn’t open all of the jars at once, but this was one of the three that I decided to sample for my review. It was spicy and sour and sweet all at once, the sort of food that makes you think about what you’re eating with each bite. 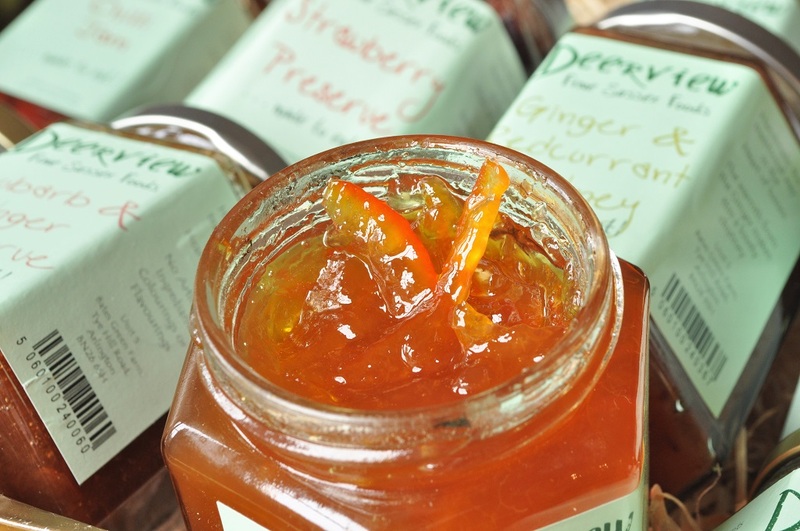 I did not open the ginger and rhubarb preserve, as I thought one ginger-flavoured item at a time was enough, but it sounds wonderful. 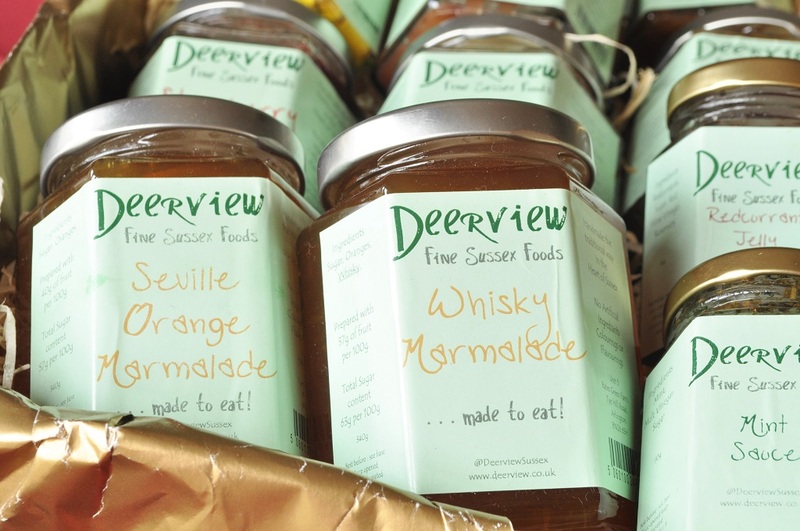 I got two of their marmalades: plain Seville orange and also a whisky one (never heard of that before). I happily dipped into the plain orange one, and was pleased to find that the shreds are substantial, but not chunky, and that there is still a good amount of bitterness amidst the sweetness. I like my marmalade to have a certain balance. I’ve just finished doing a “Reading and Refreshments” feature on Paddington Goes to Town on my other blog, so I was in a rather marmalade-ish mood. And finally there was the strawberry preserve, the third jar that I sampled. Oh, my word, how lovely. 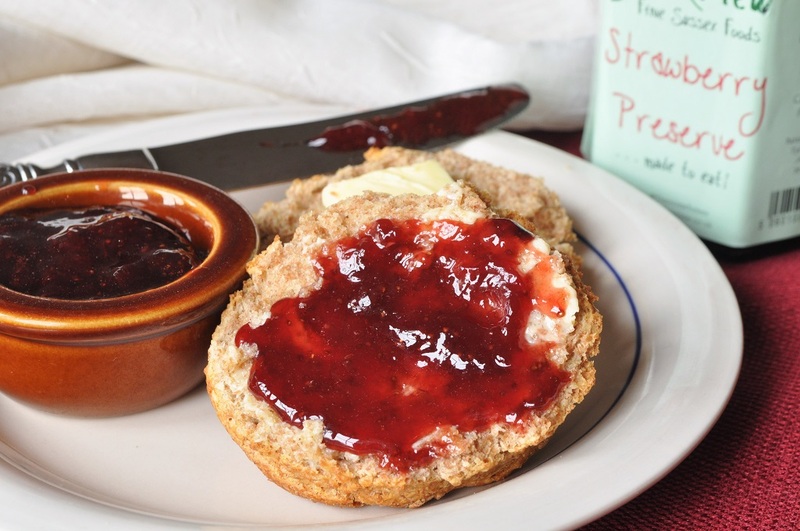 I’m not a big fan of strawberry jam unless it is fresh off the stove, but this one is simply delicious. We eat wholemeal spelt biscuits every Saturday for breakfast, and I thoroughly enjoyed mine slathered with butter and this preserve. And if that was so good, can you imagine how luscious it would be on a scone . . . with clotted cream . . . and a pot of tea . 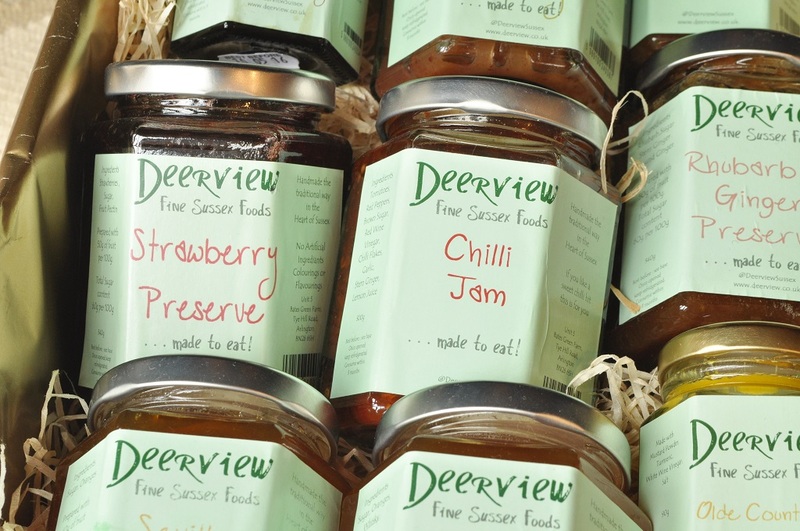 . .
You can find a list of all the different markets and shops that stock Deerview products on their website, or you can simply order it online. May I suggest you do yourself a favour and go buy a jar of this strawberry preserve right away? 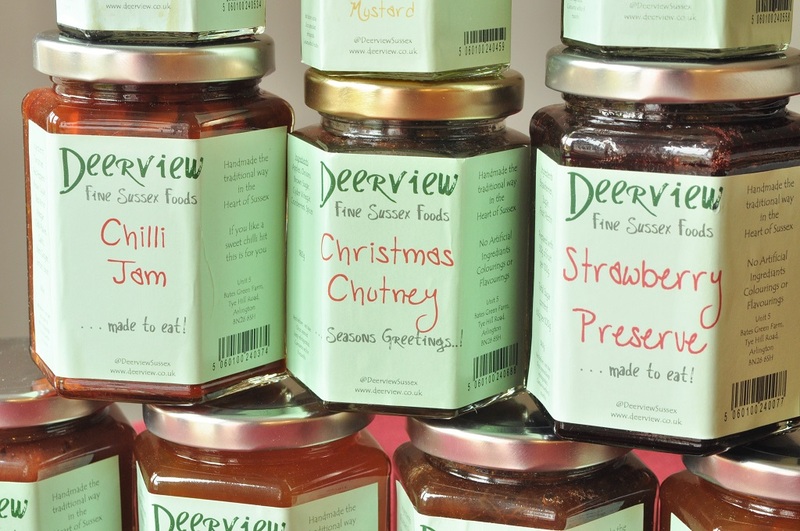 Make it your New Year’s Resolution not to put up with mediocre strawberry jam any longer, and eat Deerview’s preserve instead. It will be the easiest New Year’s resolution to keep ever. You can read Rosemary and Pork Belly’s feature on the family business here. It is wonderful–was standing gloating over them as I unpacked groceries this morning! And, yes, marmalade should not be sugary sweet; it needs that bitterness.